A new edition of a modern classic of photography. 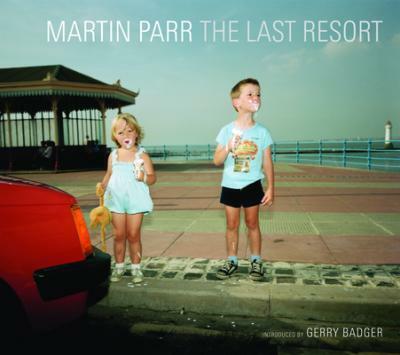 Martin Parr is Europe's premier contemporary photographer, and The Last Resort is the book that is considered to have launched his career. Taken at the height of the Thatcher years, it depicts the "great British seaside" in all its garish glory. Described by some as cruel and voyeuristic and by others as a stunning satire on the state of Britain, early editions are now much sought after by collectors worldwide. Includes a new essay by Gerry Badger, photographer, architect, curator, and critic. Martin Parr studied photography at Manchester Polytechnic, from 1970 to 1973. Since that time, Martin Parr has worked on numerous photographic projects. He has developed an international reputation for his innovative imagery, his oblique approach to social documentary, and his input to photographic culture within the UK and abroad. In 1994 he became a full member of Magnum Photographic Corporation. In recent years, he has developed an interest in filmmaking, and has started to use his photography within different conventions, such as fashion and advertising. In 2002 the Barbican Art Gallery and the National Media Museum initiated a large retrospective of Martin Parr's work. This show toured Europe for the next 5 years. Martin Parr was appointed Professor of Photography in 2004 at The University of Wales Newport campus. Martin Parr was Guest Artistic Director for Rencontres D'Arles in 2004. In 2006 Martin Parr was awarded the Erich Salomon Prize and the resulting Assorted Cocktail show opened at Photokina. In 2008 Martin Parr was guest curator at New York Photo Festival, curating the New Typologies exhibition. At PhotoEspana, 2008, Martin Parr won the Baume et Mercier award in recognition of his professional career and contributions to contemporary photography. Martin Parr will be curating the Brighton Photo Biennial in Oct 2010.